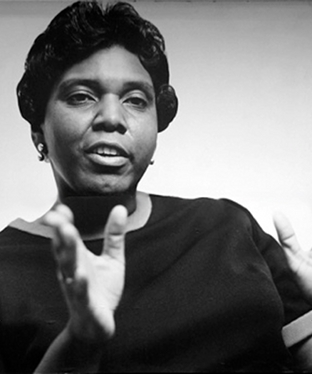 Barbara Jordan was elected to the Texas State Legislature in 1966. In 1966 an African-American, Barbara Jordan, was elected to the Texas State Legislature, and by 1971 African-American City Council members had been elected in Austin, Bryan, Fort Worth, Galveston, Hearne, Houston, Huntsville, Malakoff, Port Arthur, San Antonio, Waco, and Wichita Falls. 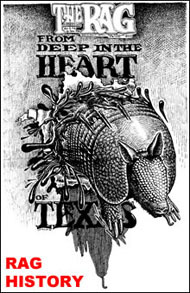 But institutional racism in Texas did not disappear during the last half of the 1960s and the early 1970s, despite the victories achieved by local civil rights movement activists in the early 1960s struggle to end legal forms of racial discrimination, white supremacy, and racial segregation in Texas. 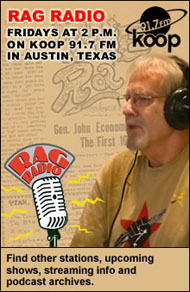 In Austin , for example, local residents voted to repeal a Fair Housing Ordinance in a May 1968 referendum; and the U.S. Justice Department initiated a lawsuit against the Austin School District in August 1970 because of the failure of city officials to desegregate Austin’s public school system. 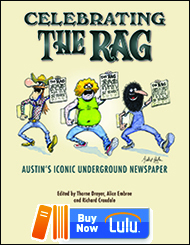 In addition, in the early 1970s the Austin Human Relations Commission reported that discrimination in employment in Austin was still “widespread and well-documented,” according to David Humphrey’s Austin: An Illustrated History. In 1969, the University of Texas administration still only employed one African-American faculty member. And although the poll tax in Texas was finally declared unconstitutional in 1966, as late as 1966 the Texas Rangers law enforcement agency still included no African-Americans. African-Americans in Texas were still also likely to live in poverty. Around 39 percent of all African-American residents of Texas still lived in poverty in 1970, for example, whereas 90 percent of all white Anglo residents of Texas did not live in poverty. Dormitories at Texas Southern University that housed African-American students were shot up by Houston police in 1967; and in the late 1960s, “Lee Otis Johnson, who led anti-war protests at Texas Southern University and publicly criticized the mayor and police of Houston at a Martin Luther King memorial rally, received a 30-year sentence for giving a police undercover agent a marijuana cigarette,” according to Alwyn Barr’s Black Texans. 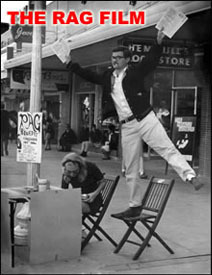 After People’s Party II was formed in Houston in the summer of 1970, its African-American chairman, Carl Hampton, was killed by Houston police on July 26, 1970; and three African-American supporters and a white supporter of People’s Party II were wounded by the Houston police in the same incident. During the late 1960s and early 1970s, “Negroes in many Texas cities continued to complain that police stopped and searched them without reason, used dogs to move non-violent persons or groups, and still used… profane terms in addressing black people,” according to Black Texans. Not surprisingly, there was an African-American urban rebellion in Midland, Texas, in July 1968 and an African-American urban rebellion in Lubbock, Texas, in September 1971. Affordable housing opportunities for African-Americans who lived in Texas cities like Dallas, Houston, and San Antonio were also still limited in 1970 because residential segregation still existed in these three cities at that time — although 26 percent of all Houston residents and 25 percent of all Dallas residents were now African-American in 1970. And in Austin, “as a result of the Keating urban renewal project in Austin during the 1960s… one-third of the families in the `renewed’ area did not get decent homes, 70 percent paid more rent or higher house payments afterward, and 19 percent of the pre-project home owners had become renters;” and “highway construction in Austin went far toward eliminating the small black enclave called Clarksville on the overwhelmingly white west side of the city,” according to Black Texans. The official unemployment rate for African-American workers in Texas also continued to be nearly double the official unemployment rate for white workers in the state during the late 1960s and early 1970s. Between 1967 and 1970, the jobless rate for African-American workers in Texas was between 5.7 and 7.6 percent, while the jobless rate for white workers in Texas was between 2.7 and 4 percent. And as late as 1970, African-American workers were still apparently being excluded from membership in the construction worker unions and skilled trades unions in Texas. And, although in the late 1960s “Negroes formed 20 to 25 percent of the population in Dallas and Houston, they owned only about 3 percent of the businesses in each city” and whites still “owned a majority of the businesses in the black community,” according to Black Texans. This entry was posted in Rag Bloggers and tagged African-American History, Barbara Jordan, Bob Feldman, Carl Hampton, Lee Otis Johnson, Poverty, Racism, Segregation, Texas History, Unemployment. Bookmark the permalink.